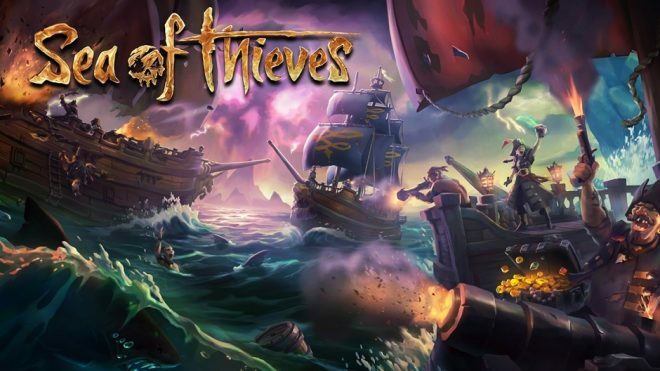 The large new action and adventure game Sea Of Thieves was released for Windows 10 this week on March 20 for $59, and with it a few shows and gatherings for fans of the game in Microsoft Store and a few other gaming venues around the world. This games is large enough to get its own worldwide tour, so at some point you are likely to be able to try the game out one place or another. Sea Of Thieves is first of all a first-person shared world adventure game, with appealing adventure graphics and details, but also a lot of action in all sorts of areas through the game. It’s played online either alone, in cooperation with others like other pirates or crew you find along the way or match up with, or against other pirates or other hostile parties. While the game have been released this week, it also in constant development, and with the priority this game has for game developer Rare, and for publisher Microsoft Studios, I can only hope that they will listen to the feedback of the users when creating the next developments. To play this adventure game on a Windows 10 tablet, the recommended power is at least a Intel Core i3 processor (2015 Haswell) or newer, with 8GB of RAM, and 2GB RAM on the GPU, though it is possible to play it with 4GB/1GB too.